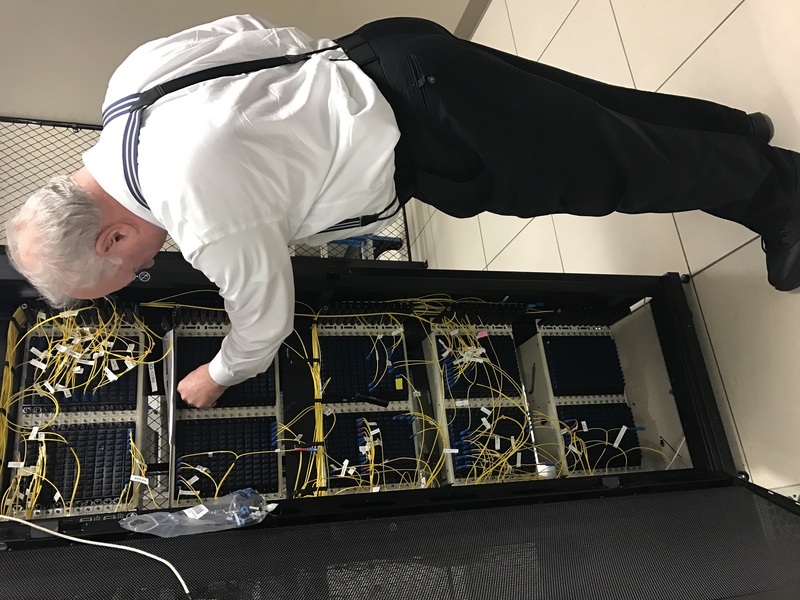 Before the Rockbridge Area Network Authority, Rockbridge County schools were bandwidth-constrained and unable to complete online testing without issues. Now, the state Department of Education classifies all the county schools as “digital learning ready” — and the network has also helped the local economy, says RANA Executive Director Scott Robertson. But a bill introduced in Richmond could affect the network’s success. The Virginia House of Delegates’ Commerce and Labor Committee was scheduled to vote Thursday on the Virginia Broadband Deployment Act, which focuses on municipal broadband companies like RANA. Del. Kathy Byron, who serves as vice-chairman of the committee, sponsored the bill. The Rockbridge County, Lexington and Buena Vista governments worked collectively to establish RANA in 2009. The authority’s facility and fiber network were constructed using funds from all three local governments and Washington and Lee University, as well as federal funds through the Recovery and Reinvestment Act. The facility is located on the W&L campus. Robertson also noted RANA’s network is important to local businesses and government institutions. “Not only do we have local connections that are very fast, but now we have multiple choices on how to get out of the county to the internet,” Robertson said. Robertson said a clause in Byron’s bill could cause RANA’s prices to increase in order to match those of private telecommunication companies. Currently, the network does not compete with private companies. Instead, it offers multiple internet service providers the opportunity to house their equipment in RANA’s facility and connect to its fiber. Another clause of Byron’s bill provides that anyone who believes a network is not meeting all conditions of the law has the right to sue the network. Robertson said this clause could discourage other municipal governments from creating their own broadband network as litigation expenses could be too costly. Byron could not be reached for comment at the time of this story’s publication. RANA Executive Director Scott Robertson shows how RANA’s fibers from throughout the county come together in one place. Robertson said the county’s economic diversity and business opportunities have flourished under RANA. Bic Hauser, president of HTV360 Productions, was able to relocate his studio from the D.C. area to Rockbridge County two years ago because of RANA’s fiber network. RANA has hopes of expanding its fiber network in the future. Former County Supervisor Hunt Riegel, who served as the first chairman of RANA’s Board of Directors, said budget constraints kept the network from extending as far into the northwest and southwest reaches of the county as originally planned. BARC Electric Cooperative, a company located in Rockbridge, Bath and Alleghany counties, has plans to utilize RANA’s fiber. CEO Mike Keyser said his company will lease fiber from RANA and lay its own fiber infrastructure within the next two years. BARC’s goal is to make high-speed internet available to over 4,100 customers. “[RANA] enables us to get our project launched and operational infinitely faster than if we had to build all this from scratch,” Keyser said. Rockbridge County Supervisor Ronnie Campbell is the county’s representative on the RANA board. He said if Byron’s bill is still being discussed in the legislature by the county Board of Supervisors meeting on Feb. 13, then the board will likely adopt a resolution against the bill. “I kind of feel like we will have to oppose it,” Campbell said. If the Commerce and Labor Committee votes to pass Byron’s bill, it will then go to the House of Delegates.